Not only does October 1st mark the start of World Dyslexia Awareness Week, it’s also the release date for the latest instalment in the Monstacademy series. Trixie Grimble and all of your favourites are back once again only, this time, their trouble is ancient! 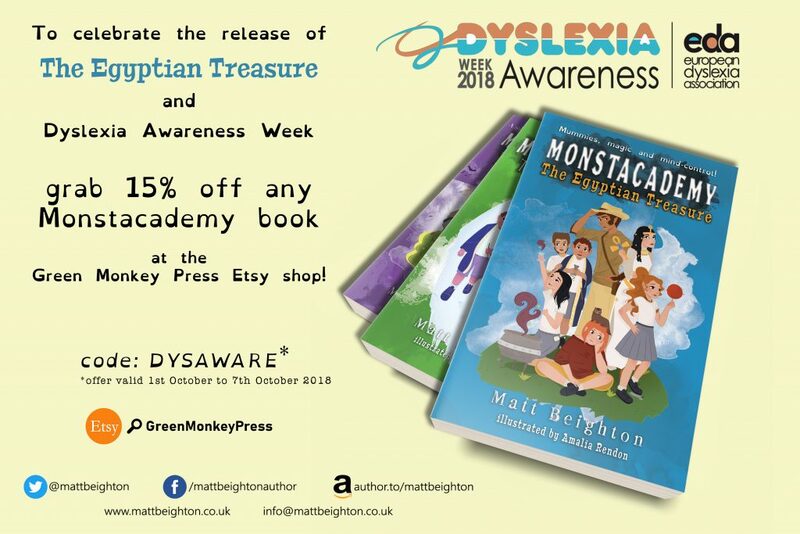 Better still, to celebrate Dyslexia Awareness Week, you can grab 15% off any of the Monstacademy books at the Green Monkey Press etsy shop for the entire week! Grab a signed copy now!